29th edition of Top Fry Great Rift 10-aside rugby will be held from 19-21 April, 2019 at Nakuru Athletics Club. Kenya Cup side Top Fry Nakuru will host the tournament over the Easter Holiday with interested teams required to confirm their participation by Friday April 5. "This year the tournament intends to provide an all inclusive family getaway weekend hyped with top notch rugby action that your club will be a major contributor to. We plan to have a 2 24-team format this year," read a letter from Nakuru RFC. 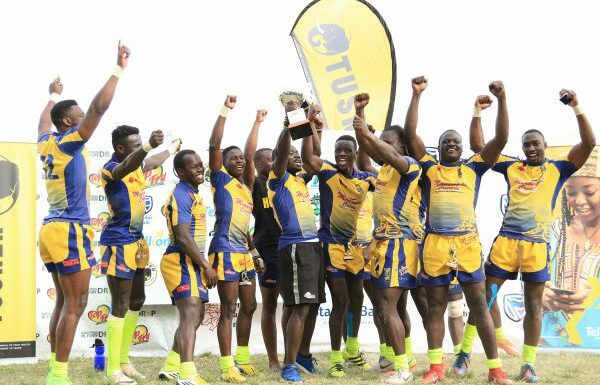 Kenya Cup last regular match-day will be on Sat April 6 with the participating teams set to take a one-week break before heading to Suguta Valley for the 10s. After Nakuru 10s, focus will return back to Kenya Cup with quarterfinals set to take centre stage on Sat April 27. Menengai Cream Homeboyz successfully defended the Great Rift 10-aside title beating Stanbic Mwamba RFC 28-0 in 2018. The Deejayz will be looking to win it for a third time in a row.